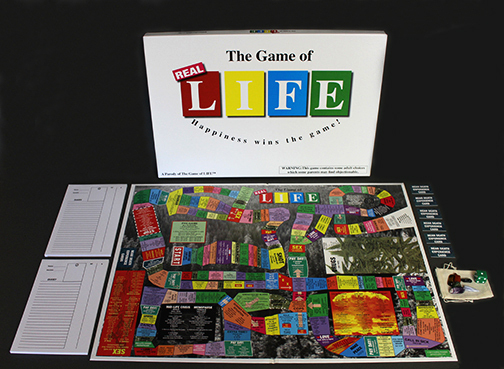 The Deluxe Box is the complete parody of The Game of LIFE™. The game comes in a large handmade white box like the original game with a large handmade 25" X 18" folding board. The Deluxe Box also comes with 100 Score Sheets, Six Polished Stones, Six Near Death Experience Cards, Directions and One Die.